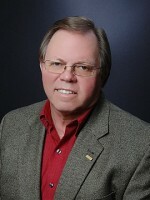 Jerry Johnson - First Realty of LaGrange, Inc.
Jerry has more than 35 years real estate experience in the LaGrange-Troup county area. After graduating from the University of Georgia, he returned to his hometown to pursue a life full of success near friends and family. In 1984, he established First Realty of LaGrange. He has been a Multi-Million Dollar Producer for 31 years and is a Life Member of Troup County Board of Realtors. Jerry is very active in his community through various organizations. He has served at the Past President of Kiwanis Club, Home Builders Association, and Toastmasters. In addition, he has a long-standing involvement with the Masons(32nd degree), Shriners (25 years), and Troup County Sportsman””s Club (29 years). It is not much of a surprise, in 2012, he was given the Georgia Good Neighbor Award.